More on the Living Essentials Napa 65 in. 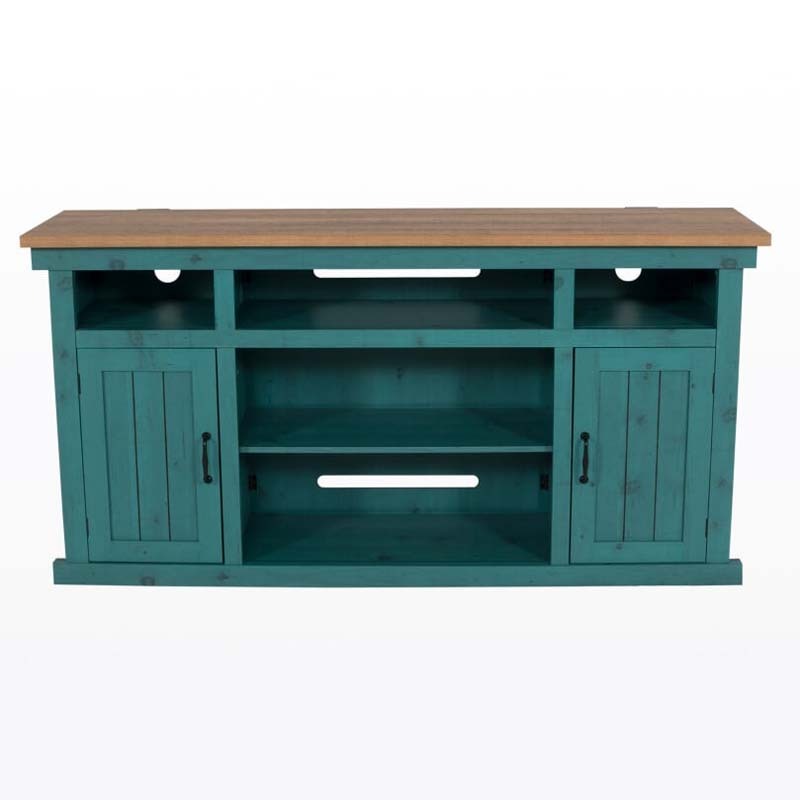 TV Console (Vintage Green) CFWGN0660 below. 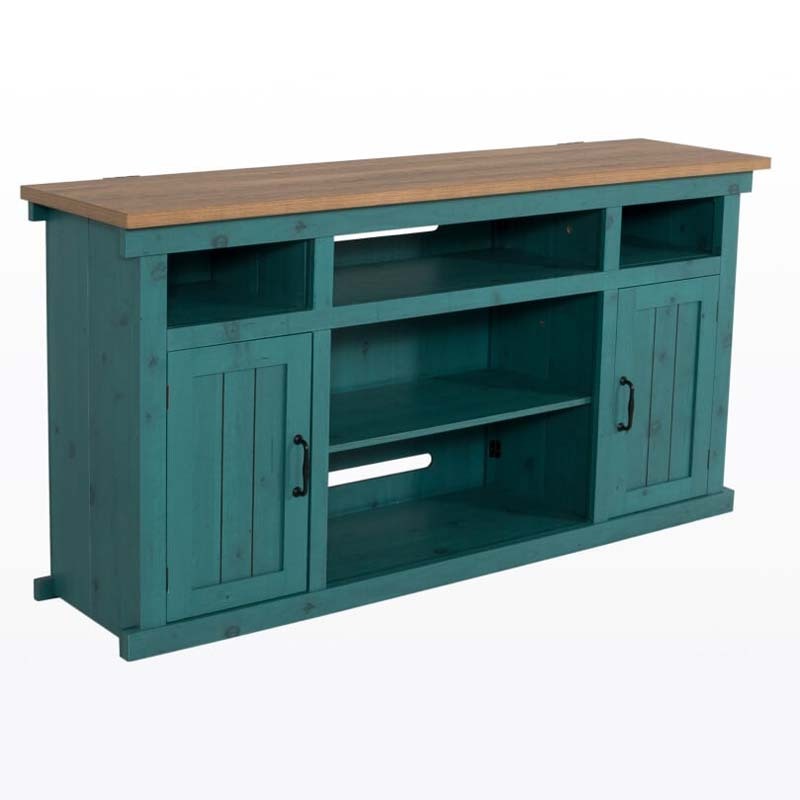 The Living Essentials Napa TV Console features high quality MDF with a beautiful Vintage Green body and Golden Maple top shelf. 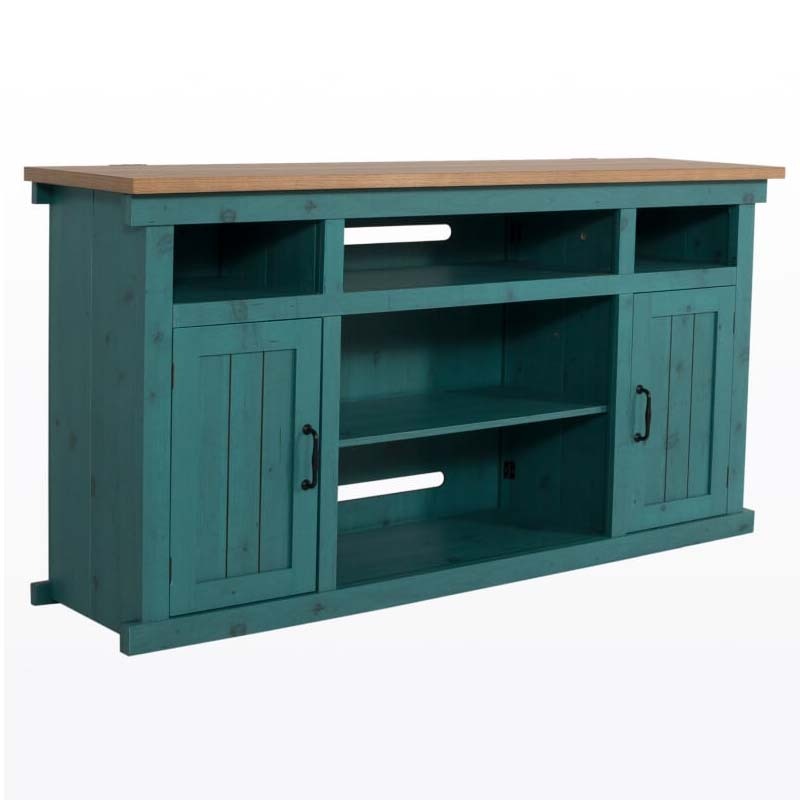 The dual color design antiqued wood finish adds warmth and beauty. 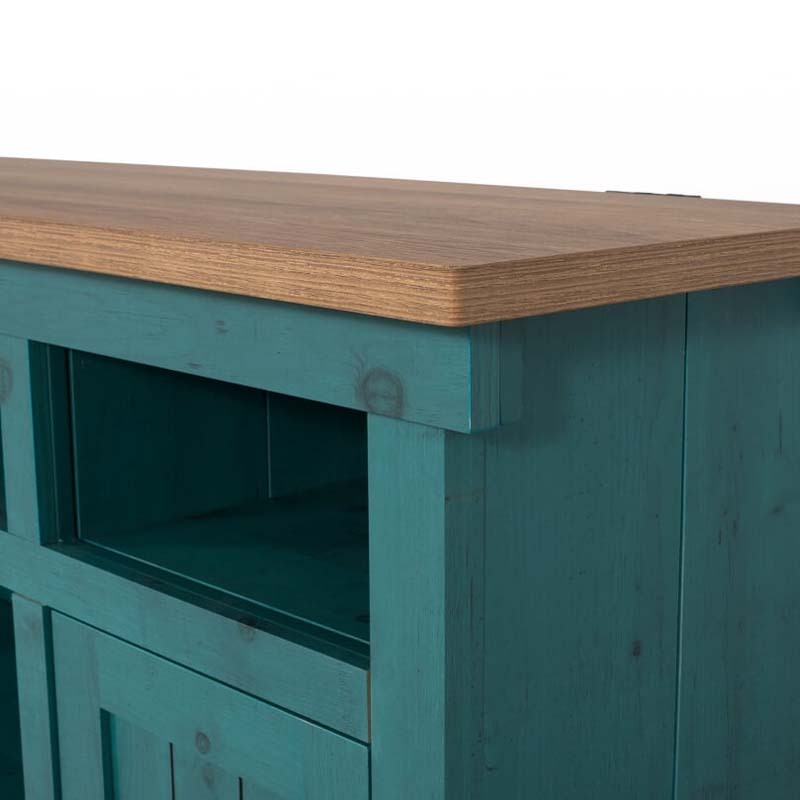 Behind the two side cabinet doors, adjustable shelves allow for ample, versatile storage space. Also available in a stunning Vintage Blue finish. 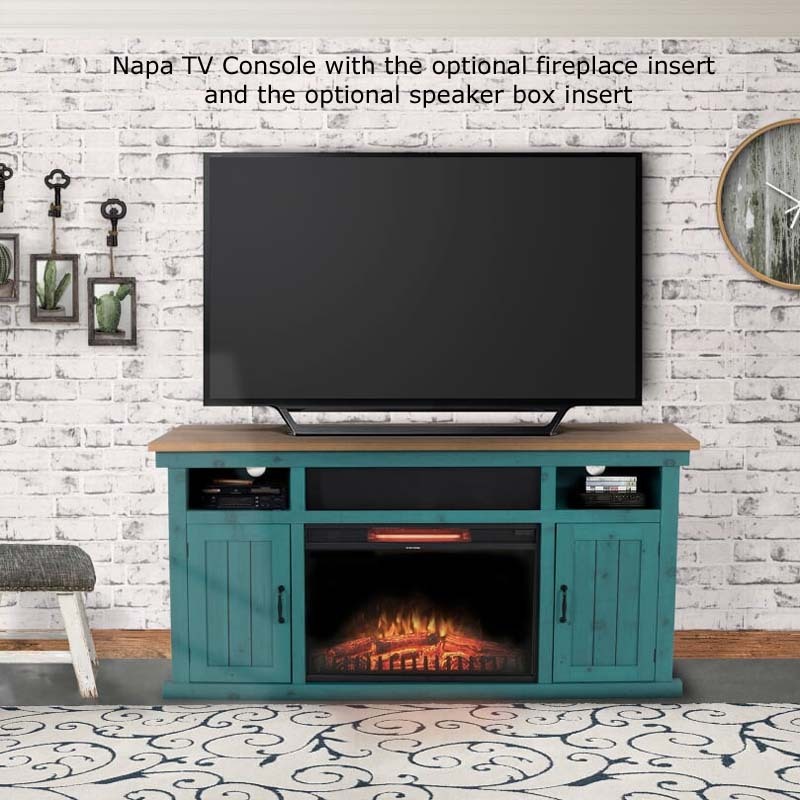 Compatible with the optional speaker box insert and optional electric fireplace insert which fits all Living Essentials TV Consoles. Sold separately- see related products below. 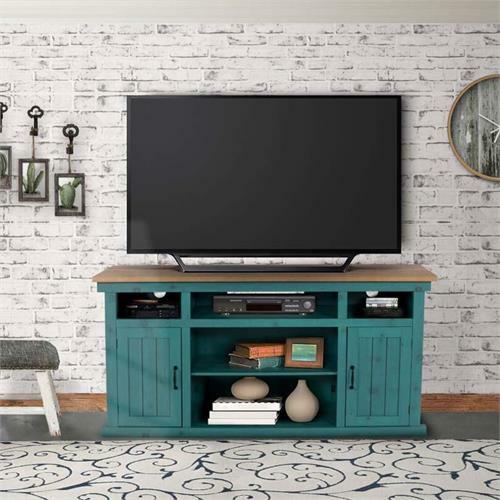 Will accommodate most flat screen TVs up to 65 inches and 175 pounds. 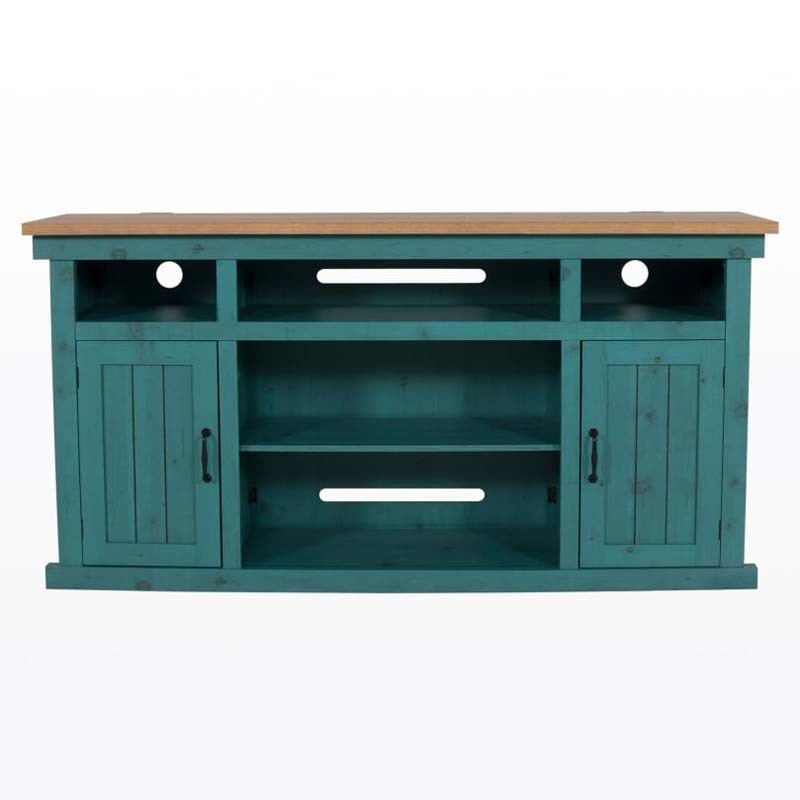 Durable MDF construction with beautiful wood veneer in antiqued Vintage Green and Golden Maple finishes. 2 side doors with one adjustable shelf behind each. 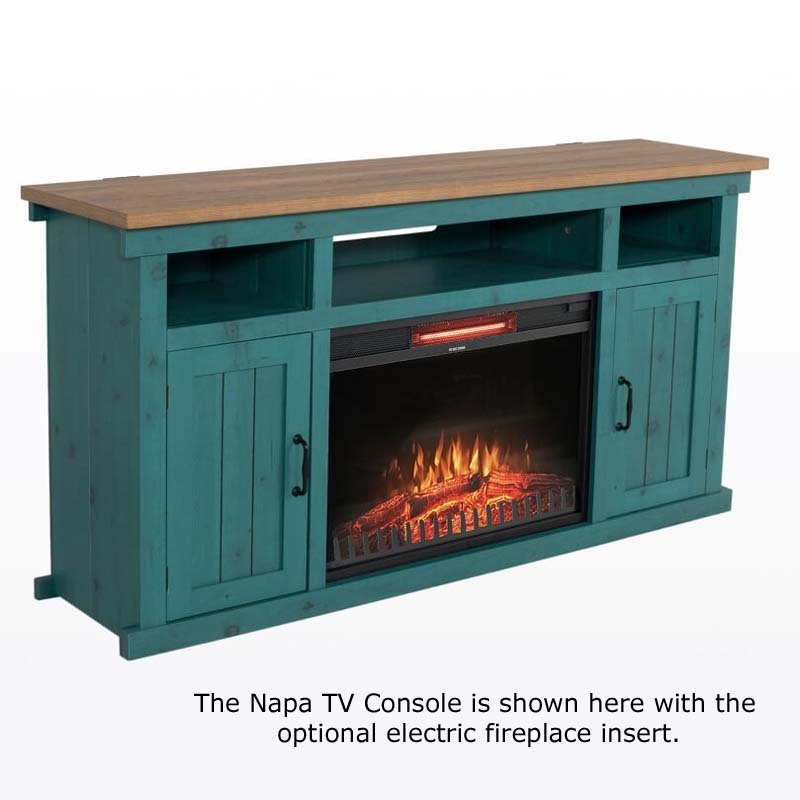 Compatible with the optional Moscow Speaker box and electric fireplace insert. Sold separately-see related products below.